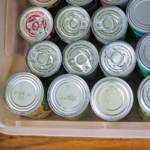 Have you ever thought about how your home appears to others? Do you think the cleanliness factor matters or is it more important that you have the latest decor and furniture? During these 31 days of October I’m sharing bits of pieces of not only my home, but my heart. To me, both of these are connected in a very real and tangible way. I am not an interior designer or fancy decorator. I’m merely a wife and mom who loves repurposing and expressing my God-given creativity throughout my home. 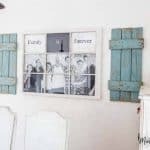 I’ve been blessed beyond measure to be able to also call this blog my job, but even if I didn’t share all our DIY projects I would still want my home to be an expression of me. 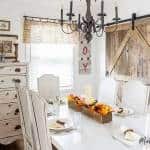 Today I want to give you some ideas for inspirational home projects that incorporate family values and personality in the way you decorate. Our family is built through both biology and adoption. Thirteen years ago, in 2000, we added a sibling group of three to our two birth children, giving us a home full of children! We didn’t know how very much our lives would be challenged and changed from parenting these three children with wounded hearts. Everything we held dear was put to the test, including our faith, our friendships and our family ties.. Throughout this journey we continued to tell our children that God had uniquely joined our family together. Regardless of the heartbreaking years, God was still sovereign in the love and grace He poured into our hearts. We have discovered a way to encourage and strengthen this family bond through the way we choose to decorate our home. Even though we have redone much of our home, this family gallery wall is still my very favorite. As I decided how to bring this wall together, I enlisted the help of our children in choosing words that would express what family meant to them. Forgiving. Chosen. Unique. Joy. Fun. A blessing. Love. Forever. 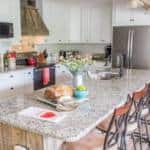 I want our home decor to be welcoming and filled with grace and those things that hold special memories for our family. 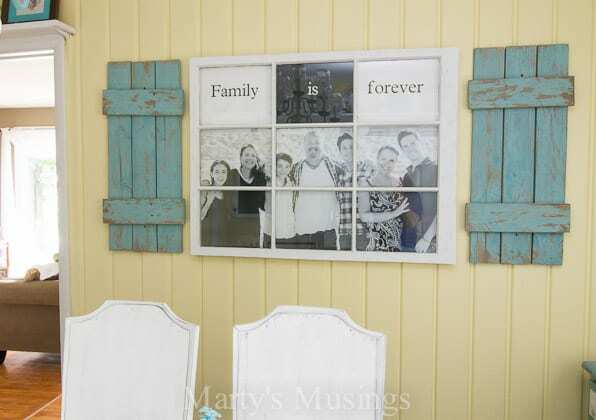 A more recent addition is this family photo frame made from old fence boards and an old window. I enlarged one of our beach photos as a 24×36 engineering print and created the “family is forever” saying with vinyl using my Cricut diecutting machine. I love the look and the reminder as we share a meal together that we are bound together with love. As an avid scrapbooker I love incorporating photographs into my home decor through accessories, frames or wall groupings. My youngest daughter’s room contains a scripture verse as a reminder that God created her and has a plan for her life. 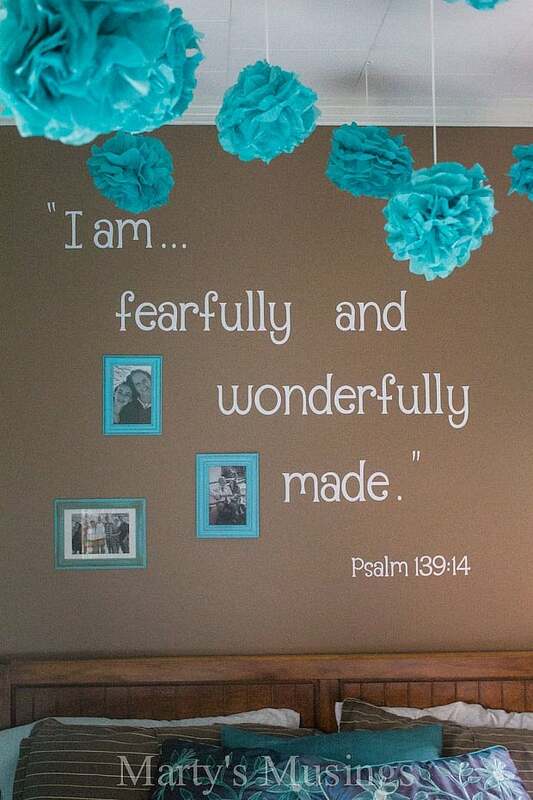 Psalm 139:14 says, “I am fearfully and wonderfully made,” and this verse covers one wall of her room. These are just a few of the ways we personalize our home. 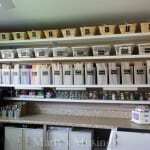 What unique projects do you have in your own home? 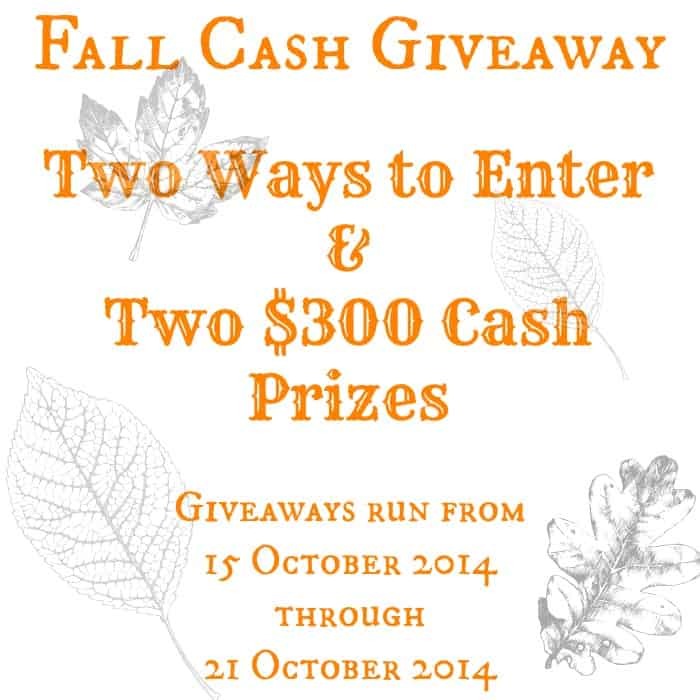 Now, could you use a little extra cash before the holidays? 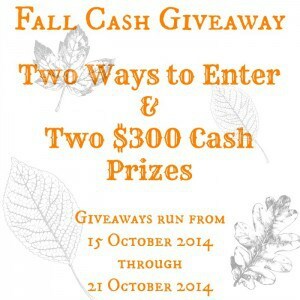 I have teamed up with a few of my blogging friends to offer two $300 cash prizes. Details below! 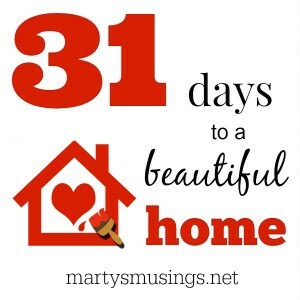 Have you joined me for my 31 day series yet? Love the family photo with the shutters. We do, too, but it’s time for a new picture! Thank you for sharing a piece of your home and heart with us. 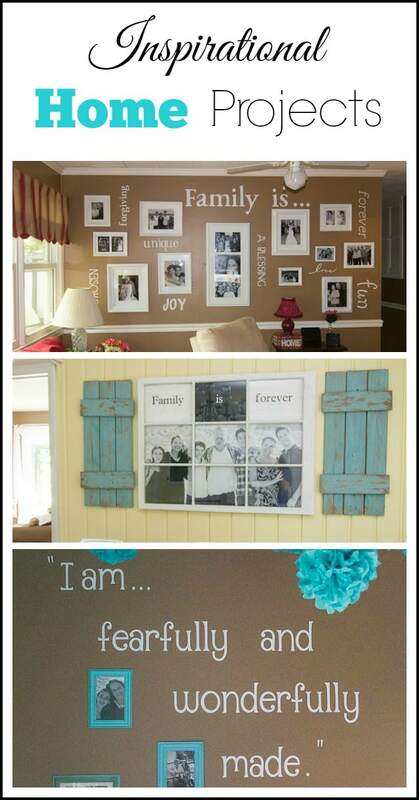 I did some similar things in my living room with my family pictures and it always gets rave reviews when folks stop in. I absolutely love what you did with the bedroom though – making your children feel special is the best part about being MOM! Hi, Heather. I’m so glad you enjoyed my inspirational projects I shared from my home. I love that they personalize my home and make it unique. It’s like scrapbooking but on a really ginormous page! Hi, Carol. I’m so glad you found me through Hometalk. What a great resource there! I hope you’ll join my email subscription (at the top of my home page) and not miss a single DIY project! 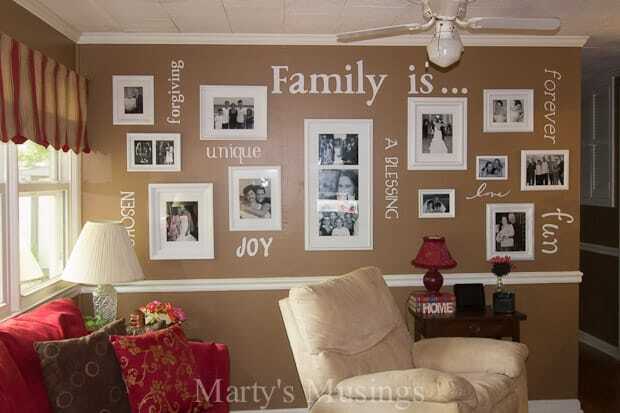 Hope your family gallery wall turns out amazing! 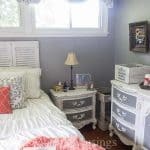 Hi Marty, my daughter ran across the picture of your daughter’s room on Pinterist and really loves the bedspread she has (with the green, brown and blue dots)…is there any chance you can tell me where you purchased it or what it is called? Thanks so much in advance! 🙂 Great Blog BTW!